Dr McCauley is known to offer excellent dental services in our area. His experience includes vast knowledge as a sedation dentist in Delray Beach. Sedation can be administered to patients of all ages but sedation on senior patients require extra evaluation of the patient’s overall health. Oral sedation is a standard method of senior sedation dentistry. This only involves the administering of medication, which is taken by swallowing a pill. The pill has the same effects on the patient as laughing gas, but it is ideal for patients who prefer taking a pill as opposed to having the mask placed over their face. Experienced dentists prefer to manage sedation dentistry for the elderly through standard laughing gas. This involves the dentist placing a small mask over the patient’s nose and mouth and then releasing a small amount of the odorless nitrous oxide and oxygen gas into the cover. Once the patient breaths in this gas, he or she will begin to feel relaxed and calm, allowing the necessary dental procedure to be performed with minimal to no patient anxiety. IV sedation is still an option for elderly patients, but most prefer either the oral or inhalation method. Still, for those who prefer not to take pills and are uncomfortable with the administering mask, an IV injection of the calming drug may be the best option. An experienced dentist will consult individually with any elderly patient who desires sedation to determine which option is best. Aside from the possible fear in elderly patients of visiting the dentist, our McCauley Dental sedation options also provide convenience to our patients. The convenience factor of getting all dental procedures done at one time in one easy visit is also something our senior clients take into consideration. Sedation dentistry doesn’t always have to be used as a conclusion of dentist chair fear. 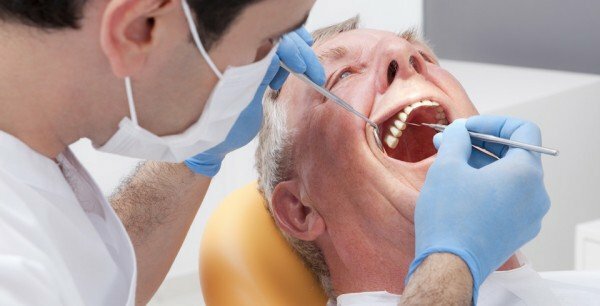 Overall, your sedation dentist in Delray Beach believes that it can be a great option for seniors who experience anxiety or fear over having dental work done, or just want one single dentist visit to get all their dental procedures done at once. While it is normal to experience anxiety about going to the dentist, there is no real reason why this should stop a person from seeking the dental work they need to be done. Fortunately, McCauley Dental offers a variety of sedation dentistry options for those who experience anxiety or fear when having dental procedures performed.